For others with this name, see Beatrice of Portugal (disambiguation). The effigy of Queen Beatrice, Monastery of Sancti Spiritus of Toro, in Zamora, Spain. Beatrice (Portuguese: Beatriz; Portuguese pronunciation: [biɐˈtɾiʃ]; Coimbra, 7–13 February 1373 – c. 1420, unknown local, Castile) was the only surviving child of King Ferdinand I of Portugal and his wife, Leonor Telles de Meneses. She married King John I of Castile. In the absence of a male heir, her husband claimed the throne of Portugal by the right of his wife. This led to the 1383–1385 Crisis, in which a good part of the Portuguese aristocracy and the people resisted their claim, invoking the Treaty of Salvaterra, and prevented the annexation of Portugal by Castille. The crisis ended with her uncle John, Ferdinand's illegitimate brother, being elected and acclaimed King of Portugal, the first from the House of Aviz. At the beginning of 1383, the political situation in Portugal was volatile. Beatrice was the King's only child, and heir to the throne, after her younger brothers' deaths in 1380 and 1382. Her marriage was the political issue of the day and inside the palace, factions lobbied constantly. Ferdinand arranged and canceled his daughter's wedding several times before settling for his wife's first choice, King John I of Castile. John had lost his wife, Infanta Eleanor of Aragon the year before, and was happy to wed the Portuguese heiress. The wedding took place on 14 May 1383, in the Portuguese city of Elvas. Beatrice was only ten years old. King Ferdinand died shortly thereafter, on 22 October 1383. 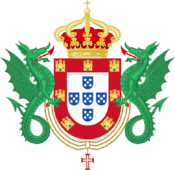 According to the treaty between Castile and Portugal, Queen Leonor declared herself regent in the name of her daughter and son-in-law. At the request of the King of Castile, when he had knowledge of his father-in-law's decease, Leonor ordered the acclaim of Beatrice, although John I of Castile hadn't expressly recognized her as the regent, first in Lisbon, Santarém and other important places, and, some days after the assassination of Count Andeiro, in all the country. But a rebellion led by the Master of the Order of Aviz, the future John I of Portugal, immediately began, leading to the 1383–1385 Crisis. Beatrice had no children with her husband, although a son called Miguel is mentioned in several much later genealogies and even in some modern history books. There is no contemporary document mentioning him, and his mother was only 10 or 11 years old at his supposed birth. 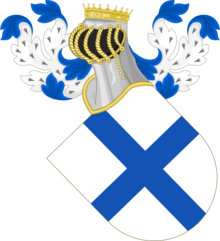 It is most probably a confusion with a grandchild of the Catholic Monarchs who was called Miguel. The King of Castile invaded Portugal in the end of December 1383, to enforce his claim to be king by the right of his wife. The consequent war was effectively ended in 1385, with the utter defeat of Castile in the Battle of Aljubarrota. In the aftermath of this battle, John of Aviz became the uncontested king of Portugal. The King and Queen of Castile no longer had a tenable claim to the throne of Portugal, but during his lifetime, they continued to call themselves king and queen of Portugal. 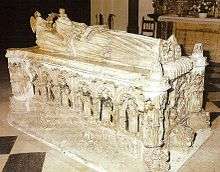 Beatrice died circa 1420 in Castile. 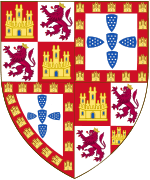 Coat of arms of Beatrice of Portugal. There has been some actual debate as to whether Beatrice should be counted as a monarch or not, and there is, in the last decades, a historiographical current of Spanish and Portuguese authors defending that she was titular Queen of Portugal between 22 October and the middle of December 1383. However, the majority of the Portuguese historians have argued that during the 1383–1385 period Portugal had no monarch, and Beatrice is not counted, in Portugal, as a national queen regnant. The Portuguese rebellion was not the only problem to her ascension to the throne. Many Portuguese nobles of the pro-Castillian faction also recognized her husband, King John I of Castile, as their jure uxoris monarch, by rendering him vassalage and obedience, as, for example, Lopo Gomes de Lira in Minho. John I of Castile, as can be read in his testament, dating of 21 July 1385, in Celorico da Beira, identified himself as the king of Portugal and possible effective owner of the kingdom, saying that if he predeceased his wife, the Pope should decide whether Beatrice or his son (her stepson) Henry should be the sovereign of Portugal. 1 2 Olivera Serrano, César (2005). Beatriz de Portugal: la pugna dinástica Avís-Trastámara (pdf) (in Spanish). Instituto de Estudios Gallegos "Padre Sarmiento", Consejo Superior de Investigaciones Científicas. pp. 42, 354(footnote 2), 397(footnote 111). ISBN 84-00-08343-1. OCLC 65459136. ↑ For genealogies including Miguel, see: Die Könige von Kastilien und León IV, 1369–1504 a.d.H. Trastamara des Stammes Burgund-Ivrea, In: Detlev Schwennicke (Hrsg. ): Europäische Stammtafeln: Stammtafeln zur Geschichte der Europäischen Staaten, Neue Folge, Band II, Die außerdeutschen Staaten, Die regierenden Häuser der übrigen Staaten Europas, Tafel 65, Verlag von J. A. Stargardt, Marburg/Berlin, 1984, page 65, and Cawley, Charles, FMG/Castile & Leon Kings Genealogy: JUAN I 1379-1390, Medieval Lands database, Foundation for Medieval Genealogy , . Wikimedia Commons has media related to Beatrice of Portugal. Williamson, David (1988). Debrett's Kings and Queens of Europe. Exeter: Webb & Bower. ISBN 0-86350-194-X. Sancho had no children; he was deposed in 1247 and died the following year.